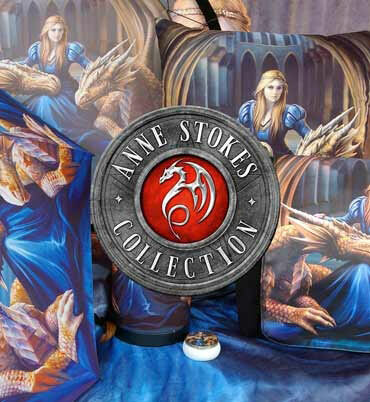 Find your fortune in the Fantasy Realm with these Legends Tarot Cards, available from Gothic and Fantasy wholesaler Nemesis Now, from the mind of world-renowned and Fantasy artist, Anne Stokes. There are 78 fantastically detailed cards, each showing a different character, from Fairies to Wolves, Dragons to Unicorns. With a detailed instruction leaflet showing how to perform basic and advanced readings, this tarot deck is fantastic for beginners and adepts alike.